It’s no secret that plants are an essential component of our survival. They provide us with food, fiber, building materials, and medicine. Plants also have a direct influence on our well-being in their capacity to absorb carbon dioxide and convert it to clean oxygen; which is a pretty handy trick in our heavily polluted, over populated world. Interestingly, recent studies suggest that plants, particularly indoor plants, can also have a direct impact on our overall mood and emotional well-being. Humans have been bringing plants into their homes for thousands of years but with the evolution of modern creature comforts, our species is spending more time indoors now than we ever have before. When taking into consideration the growing percentage of our population that identify as couch potatoes, the initiative to introduce more plants to indoor spaces could prove to be one of the most important public health and happiness initiatives of the 21st century. There are a number of reasons why plants may improve our mood – the most obvious being that they look quite a bit nicer than carpet and wallpaper. 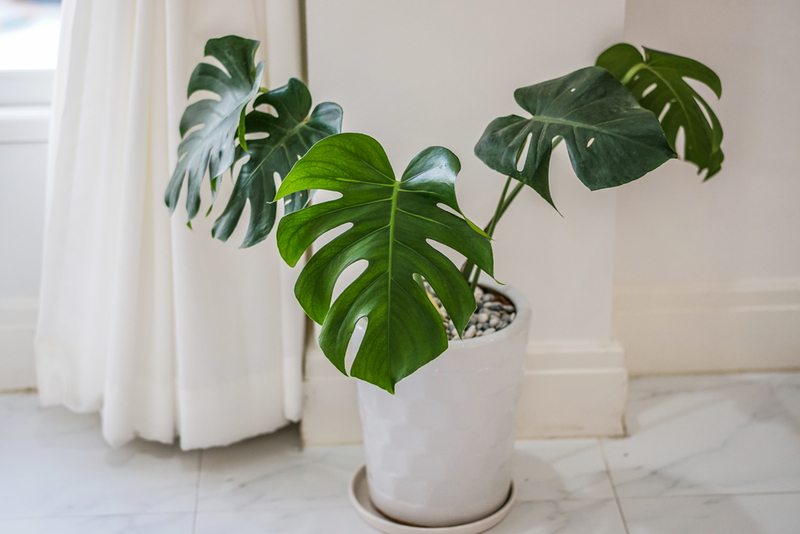 One study found an interesting correlation between the amount of care required to keep a plant healthy and the positive psychological effects it had on the caretaker. The research showed that those who spend extended periods of time in the presence of plants tend to have better relationships with other people and therefore experience increased levels of happiness. Individuals who spend more time around plants are much more likely to try and help others, and often have more sophisticated social relationships. People who care for the natural world are statistically more likely to care for others, reaching out to their fellow humans and forming stronger bonds. Another study found that flowering plants provide elevated levels of happiness and therefore, keeping flowering plants around the home and in the workplace has the potential to significantly reduce stress levels. Natural aesthetic beauty is known to have a soothing effect, and keeping ornamental flowering plants around the home is an excellent way to lower high levels of stress and anxiety. As a result of the positive energy derived from a space that has plants in it, the likelihood of suffering from stress-related depression is decreased as well. The Fiddle Leaf Fig is an incredibly versatile plant which is beginning to pop up all over the interior design scene – in fact, if you have a Pinterest or Instagram account, it’s likely that you already have a few impressions of the famous fiddle leaf subliminally embedded in your memory. Fiddle Leafs are one of the most photogenic and attractive indoor plants available, and as an added bonus, they’re also wonderful for improving air quality by providing high levels of oxygen and cleaning the air of allergens. Fiddle Leaf Figs don’t require excessive watering and will thrive indoors in the right kind of light. They can take a lot of indirect sunlight, however, positioning your plant next to a window is a recipe for disaster. Similarly, placing them in a dark corner is also going to be detrimental. Think “not too little, not too much” in terms of indoor sun exposure. The Peace Lily is a beautiful plant that is easy to care for and produces amazing flowers. 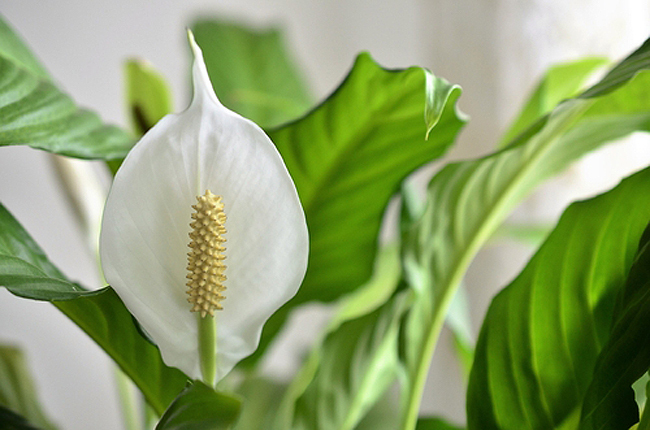 Situated on the top of NASA’s list of all around do-gooder greens, not only are Peace Lilies easy on the eyes, they’re also incredibly good at detoxifying the air of benzene, formaldehyde, trichloroethylene, and ammonia. A great place to keep a Peace Lily is in your bedroom, where its toxin-destroying powers will be put to good use. Peace Lillies are one of the easiest plants to care for, just keep them well watered and fertilize every 6 – 8 weeks! 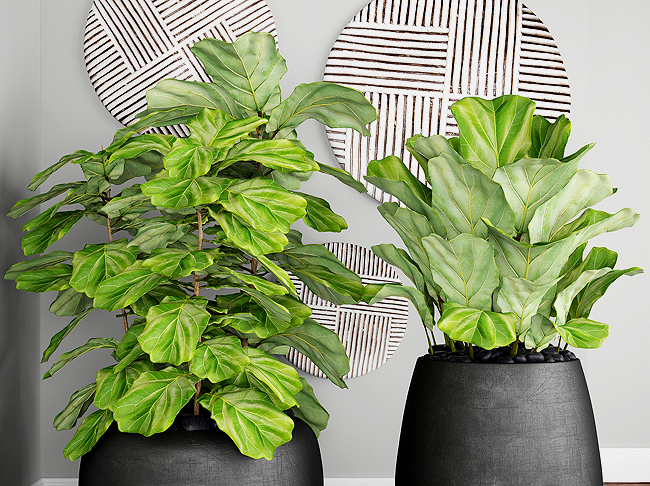 Known for their exquisite flowering leaves and bold aesthetics, Philodendrons make a beautiful statement in any room. Like Peace Lilies, they also absorb high levels of formaldehyde from the air. Philodendrons require a warm spot with plenty of bright, indirect sunlight. Water them regularly, but be sure to allow the top layer of soil to dry out in-between drinks. As one of the most popular indoor botanicals, not only do Spider Plants look great, they’re also incredibly easy to care for. 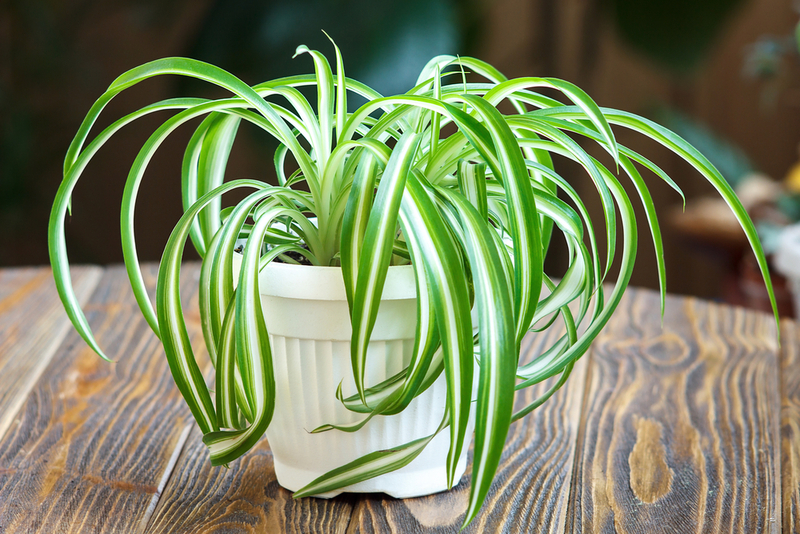 Spider plants are especially good at absorbing mold and allergens from the air and can be put to good use in areas that are prone to dampness such as bathrooms and laundries. The only things you need to consider when caring for a Spider Plant is keeping the soil moist and fertilizing once every 2 months. Every few weeks, take your indoor plants outside to a naturally shady position, maybe under another tree in your garden, and leave them for a few hours to absorb some fresh air and naturally filtered sunlight!